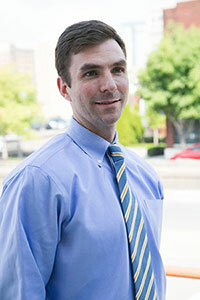 Get tips for using cell phone records during litigation in Alabama. In the era of the smart phone, the discovery of cell phone records is becoming more and more common. Cell phone records are not just used to place a suspect near the scene of a crime at a particular time, but they are also used in civil litigation. Cell phone records may establish that a driver was on the phone at the time of an accident. They may be used to prove a spouse was having an extramarital affair or dissipating marital assets. Learn more about using cell phone records during litigation with this On-Demand webinar for Alabama attorneys. Presenter Rob Arnwine will discuss the types of issues a practitioner will face when dealing with cell phone records. Obtaining and Using Cell Phone Records in Alabama Litigation — is just $107. Rob Arnwine's practice focuses generally on personal injury and insurance defense, with special emphasis on trucking litigation. He litigates cases in both state and federal court, and he has handled appeals to the Alabama Supreme Court and the 11th Circuit Court of Appeals. Mr. Arnwine earned his J.D. with honors from the University of Alabama School of Law, where he was fortunate to work as a research assistant for the Honorable Joseph A. Colquitt and Professor Susan Randall. Prior to attending law school, he served as a commissioned officer in the United States Navy.